It is very important for Christians to be students of the Bible and be lead by the Holy Spirit. According to John 10:1-5 it says “Anyone who does not enter the sheep pen by the gate, but climbs in by some other way, is a thief and a robber. The one who enters by the gate is the shepherd of the sheep. The gatekeeper opens the gate for him, and the sheep listen to his voice. He calls his own sheep by name and leads them out. When he has brought out all his own, he goes on ahead of them, and his sheep follow him because they know his voice. But they will never follow a stranger; in fact, they will run away from him because they do not recognize a stranger’s voice. David Lee will discuss the importance of knowing God’s voice and how to know the difference of a stranger’s voice. He will also discuss The Changing Face of Christianity and offer suggestions on how Christians can still be consistent and make a difference. 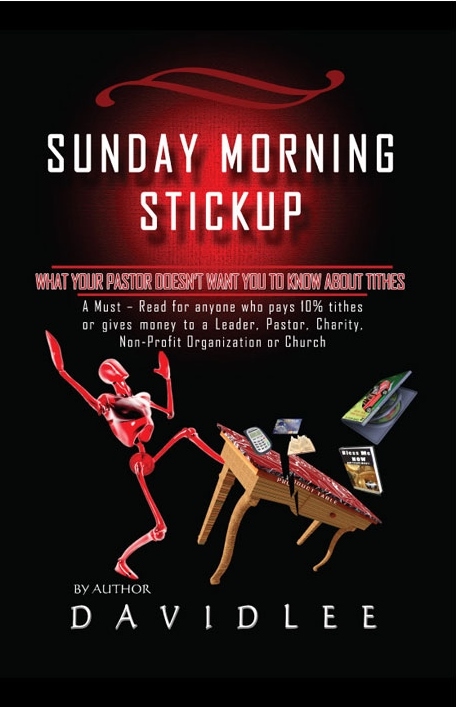 Don’t forget to tune in on February 15, 2014 at 1 pm CST, 2 pm EST and 11 am PST as ASWIFTT RADIO Host Brenda Johnson Padgitt talks with Author David Lee about his controversial book “Sunday Morning Stickup: What Your Pastor Doesn’t Want You to Know About Tithes. Log on at: http://www.blogtalkradio.com/aswifttradio. For more information about this show contact Brenda Johnson Padgitt at 1-800-775-2708 ext. 3060 or e-mail: news@aswifttradio.net. Join ASWIFTT RADIO Host Brenda Johnson Padgitt on February 14, 2014 at 1 pm CST, 2 pm EST and 11 am PST as she interviews “The Relationship Mechanic,” Lawrence Moore about his latest book “Real Men Speak Womanese.” Lawrence is a pastor, author and mentor who spends his time helping others to repair their dreams, even in some cases he helps them discover who they are. As an advisor, he has the experience and education to help you through your successes and failures. As a coach, he helps you to overcome life obstacles. He also prepares you to conqueror your opponents and to persevere mentally, emotionally and spiritually through difficult challenges. Moore is a teacher who is able to assist you with navigating your life in the right direction. As a mentee himself, he continues to be an humble student who receives instruction from elders so he remains ready and able to help position you. 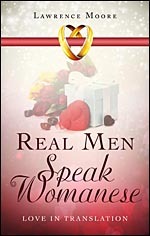 In Moore’s book “Real Men Speak Womanese,” he enlightens men on how best to communicate love to their significant other in a way she’ll understand. Rather than focusing on how different men and women are, Lawrence focuses on five components of effective relationship communication: emotional, verbal, physical, spiritual and sexual. He says people have been robbed socially and relationally of the true impact that marriage and relationships should have on their lives. By following and applying these simple principles, you will move from error to correction while learning to fluently speak your mate’s language. For more information about this broadcast contact ASWIFTT RADIO host Brenda Johnson Padgitt at: news@aswifttradio.net. You can also listen live at the broadcast on February 14, 2014 at 1 pm CST, 2 pm EST and 11 am PST at: http://www.blogtalkradio.com/aswifttradio.